This article is a follow up from our earlier article about Potato growing. So if you have not read our earlier article please read that before continuing. 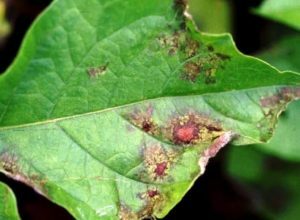 In this article, we will inform you about some of the most common diseases which potato plants suffer. 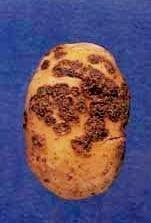 It is one of the most dreaded diseases of potatoes. In this case, potatoes grow swelling or tumors. 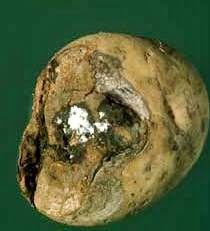 One or more tumors can be seen in the tubers. 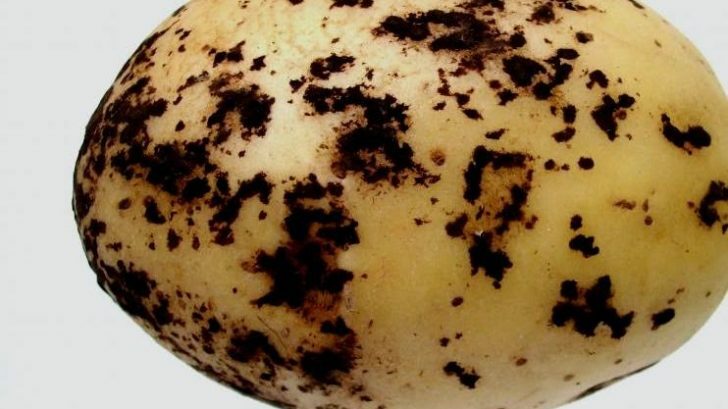 Most of the time tubers turned into warty mass and turn black with age. The best way to control this is to use immune varieties. These are bacterial infections. It makes the tissue corky to the surface. These form patches. The infections are mostly superficial and you can eat the tubers. Scab is much more destroying if the soil is alkaline (Know more about soil pH). Do not add lime to the soil. For better results, use resistant varieties of the plant. Keep the moisture level in the soil by watering frequently. This is caused by fungal infection. It causes brown spots in the leaves. In case of late blight, the leaves of the plant wilt and turn brown within weeks. These conditions also deteriorate in case of humid or moist weather. To prevent this from happening use disease-free variety of seed potato. Use a thick layer of mulch to prevent tuber infection. Several snails and slugs love to chew the leaves and tubers of the potato plant. They create holes in the tubers. The attack is especially severe in the rainy season. See our article on gardening in a rainy season. Don’t water in the evening. Check for visible pests and remove them manually. The most common symptoms are irregular lumps of tubers. The infection can also spread to the roots. One of the solution suggested is to use crop rotation. even darker, and develops wrinkles. It is more or less to do with the storage problem. You need to be more careful while harvesting and storing. Want to share anything Feel free to post in the comment box.